Soothing beard balm. Calms the skin. Strengthens and regenerates the beard. The Esbjerg Sensitiv Beard Balm nourishes jaded and pallid whiskers and conjures a soft beard. The pleasant texture of the beard balm absorbs quickly and is very efficient, so the product can be used very sparingly. 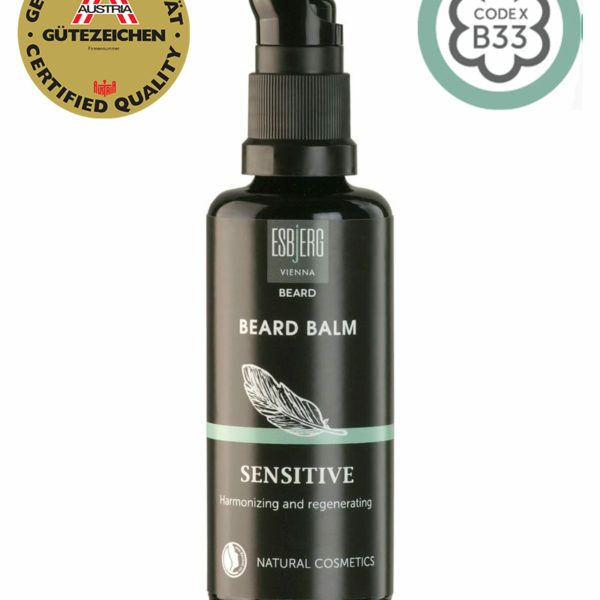 The beard balm protects and regenerates the stressed and often itchy skin under the beard. 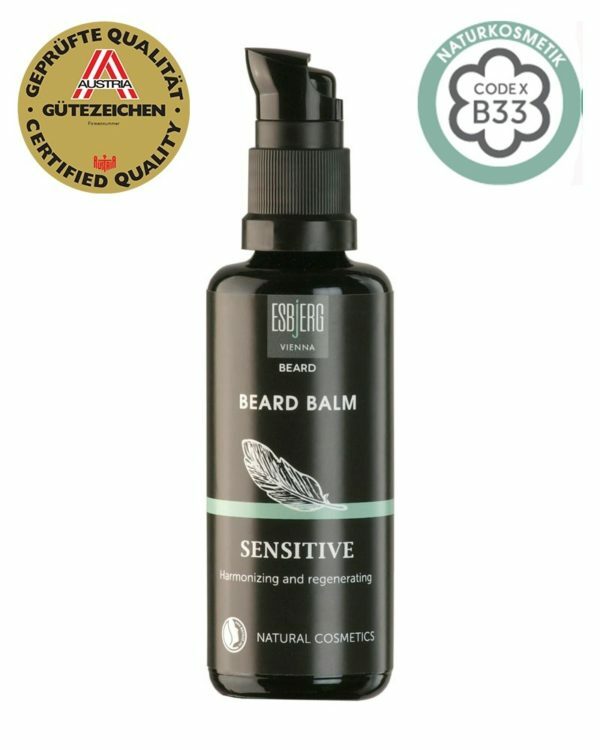 Beard Balm Sensitive is tenderly scented and is especially recommended for sensitive skin. Use the beard balm after showering or after cleaning the beard very sparingly and enjoy your smooth beard.